Turn your home into a comfortable, energy-saving residence with an upgrade done by Dr. Energy Saver N.E. Illinois. We are your local energy saving company offering energy reducing solutions to Illinois homeowners. We work to improve your home's energy efficiency while helping to reduce your monthly energy expenses. At Dr. Energy Saver N.E. 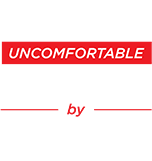 Illinois, our slogan is "We Fix Uncomfortable Homes". We use our proven home insulation and energy solutions to improve the overall comfort of homes. Spray foam insulation and home energy audits are just a few of the services we offer. Contact us today for a FREE no-obligation service quote. As an authorized Dr. Energy Saver dealer, our team has been through extensive training unmatched by anyone in the home energy industry. We can properly diagnose and resolve any energy problem in your home. Our wide variety of products and services allows us to create a comprehensive home energy plan based on your home's custom needs. As Northeastern IL's preferred home energy specialist, we take pride in providing all customers with only the best service and highest quality products. If your Northeastern IL home is in need of a comfort improvement or you are sick of high energy bills, contact us today. We offer FREE quotes to homeowners in Highland Park, Lake Forest, Northbrook, Wilmette, and surrounding areas of Northeastern IL. "It was a great investment, our home is warmer, and I no..."
"Clear at explaining the work to be done and why. Came on..."
Our company has helped reduce home energy consumption and home comfort throughout the Cook & Lake County, IL. At Dr. Energy Saver N.E. Illinois we aim to provide only the highest quality service from the first call, the estimate and evaluation, to completing the work and following up. We have over 30 years of experience helping homeowners improve their home's energy efficiency. We have helped hundreds of homeowners in Northeastern IL, and they have all been pleased with the exceptional service we provide, and the immediate impact it had on their home's comfort. If your home is dealing with energy issues, contact us today. We serve homeowners in Highland Park, Lake Forest, Northbrook, Wilmette, and surrounding towns.